If the only thing you know about Lisa Loeb is that she sings “that song” from “that movie,” she wants you to know she’s OK with that. But as dear as she holds the angst-ridden anthem of ’90s love and heartache, Loeb hasn’t allowed it to define her career. Since 1995, she has recorded six studio albums, including the Grammy-nominated “Firecracker” in 1997. And such hits as “I Do” and “Do You Sleep?” have joined “Stay” in cracking Billboard’s Top 20. As you can see, even if Loeb’s OK with it, you’re missing out if “Stay” is your sole point of familiarity. But your chance at redemption is near. 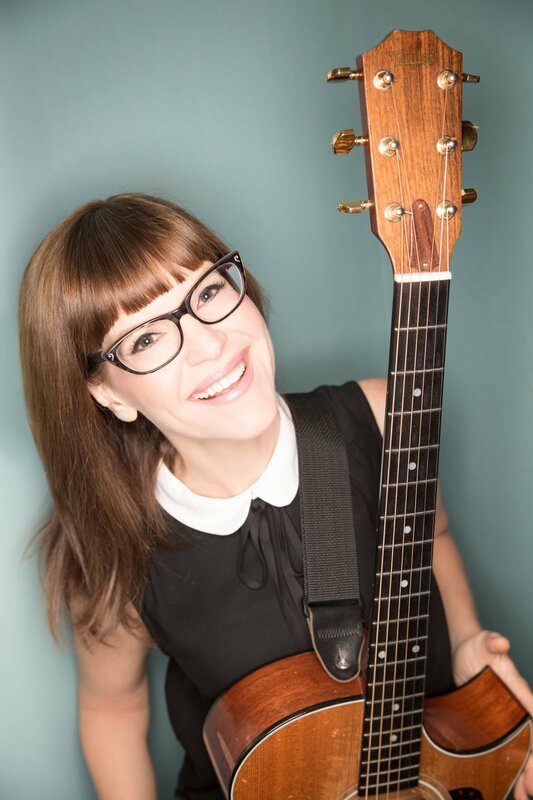 The Janesville Performing Arts Center will host “An Evening With Lisa Loeb” at 7:30 p.m. Friday, March 23, and tickets are just $35. “When you have a mainstream artist like her performing here, it shows Janesville is able to bring in top entertainment,” said JPAC Executive Director Nathan Burkart. Loeb agrees JPAC is an ideal fit for her type of shows, as she prefers playing smaller, more intimate venues as opposed to large stadiums. “(JPAC) totally suits the kind of performance I like, because buildings like that are built for listening,” she said. “A lot of what I do is not broad strokes, and sometimes, when you get into those larger venues, you end up giving a more broad performance. I can do that, but I prefer more subtlety. Smaller houses also put Loeb into closer proximity to her fans, making it easier to connect. Loeb’s shows might change, but you can expect to hear “Stay” along with many of her other original creations. You should also plan to hear songs from her children’s albums, but don’t get the wrong idea. Her brand of “kids’ music” is designed to entertain all ages. Remembering how the varying degrees of humor and silliness bridged the generational gap in her own family, she tries to use her chosen art form—music—to do the same for others today. She’s busy, but she’s thankful. “I get tired all the time, but that’s OK,” she said. “I always have another burst of energy because there is something I want to do or need to do. It’s been like that my whole life. But I never forget that (being able to perform) is something special, and that I’m lucky to be able to do this. When: 7:30 p.m. Friday, March 23. Where: Janesville Performing Arts Center, 408 S. Main St., Janesville. Cost: $35 for adults and $20 for students. Tickets: Visit the JPAC box office, call 608-758-0297 or visit JanesvillePAC.org. Personal: Born March 11, 1968. Married Roey Hershkovitz in 2009 and has two children, Lyla Rose (8) and Emet Kuli (5). Author: Loeb has written two songbooks for children: "Lisa Loeb's Silly Sing-Along in 2011, and "Lisa Loeb's Songs for Movin' and Shakin' in 2013. Musician: Loeb's adult music album catalog includes "Purple Tape" (1992); "Tails" (1995); "Firecracker" (1997); "Cake and Pie" (2002); "Hello Lisa" (2002); "The Way It Really Was" (2004); and "No Fairy Tale" (2013). Her children's albums include "Catch The Moon" (2003); "Camp Lisa" (2008); "Nursery Rhyme Parade!" (2015); "Feel What U Feel" (2016); and "Lullaby Girl" (2017). Entrepreneur: Loeb launched her own designer eyewear line, Lisa Loeb Eyewear, in 2010. She also sells her own brand of organic, fair trade coffee, "Wake Up!," which donates all profits to her Camp Lisa Foundation (see below). TV/Film: Loeb has appeared in such films as "Fright Night," "Helicopter Mom" and "Hot Tub Time Machine 2." She has also appeared on television in "MadTV," "Hell's Kitchen," "Community" and more. Philanthropy: Loeb founded the Camp Lisa project after releasing a children's album of the same name in 2008. The foundation is designed to help underprivileged kids attend summer camp through its partnership with SCOPE (Summer Camp Opportunities Promote Education, Inc.).